Humidex is a term used within Canada to describe how hot the weather feels to the average person. This is accomplished by combining heat and humidity to generate a Humidex, also known as Humidity Index. The variables that are used to calculate Humidex are the Temperature and Dew Point of the Air. 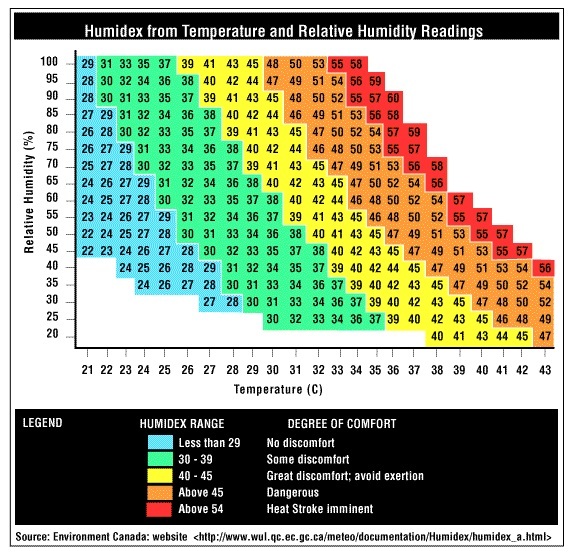 The chart below allows the calculation of Humidex if the relative humidity and temperature is known. Rotronic offers a wide range of products that measure relative humidity, temperature and dew point. Using these products in combination with the chart allows for a Humidex reading. 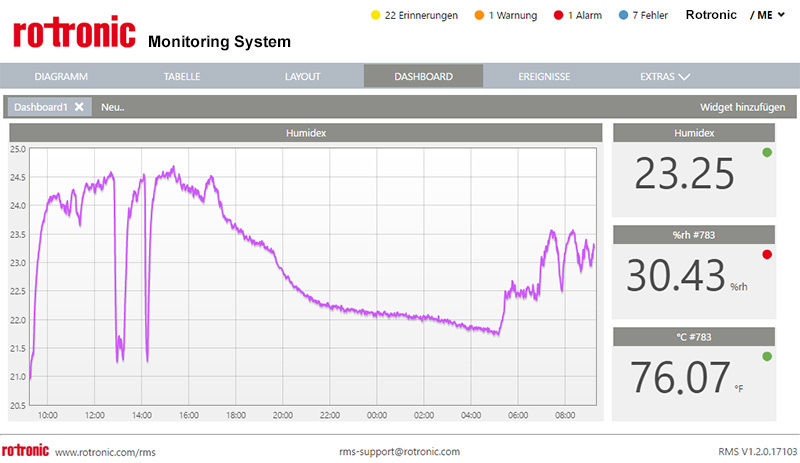 If real-time monitoring is required, Rotronic offers it’s Rotronic Monitoring System that calculates the Humidex in real-time and displays this information in a chart or table via any device that can access a web browser including a PC, smartphone or tablet. The monitoring system can also log all past data and provide automatic report generation. The system can also provide email, SMS, or phone alarms in case critical thresholds are met. Please contact Rotronic Canada to find out more about our Humidex solutions!